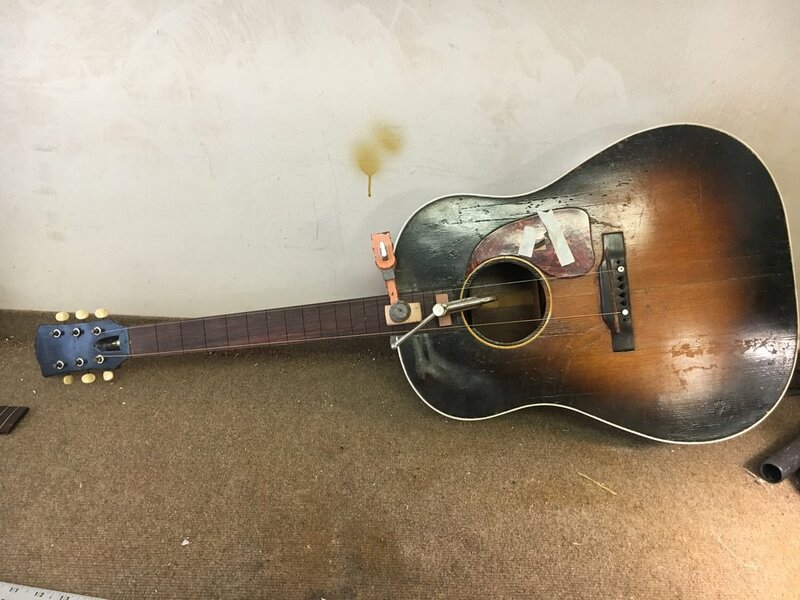 This is a 1960’s Harmony Sovereign made in Chicago in need of a little TLC. The paint stripper used by a previous owner melted the binding! 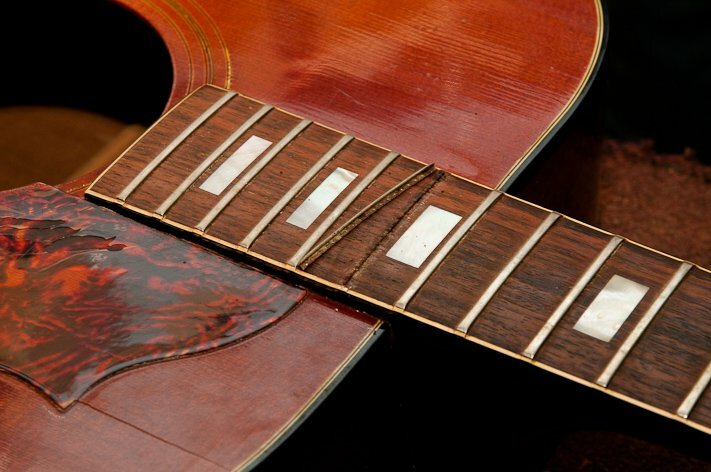 This image was taken after the client began work stripping the guitar. 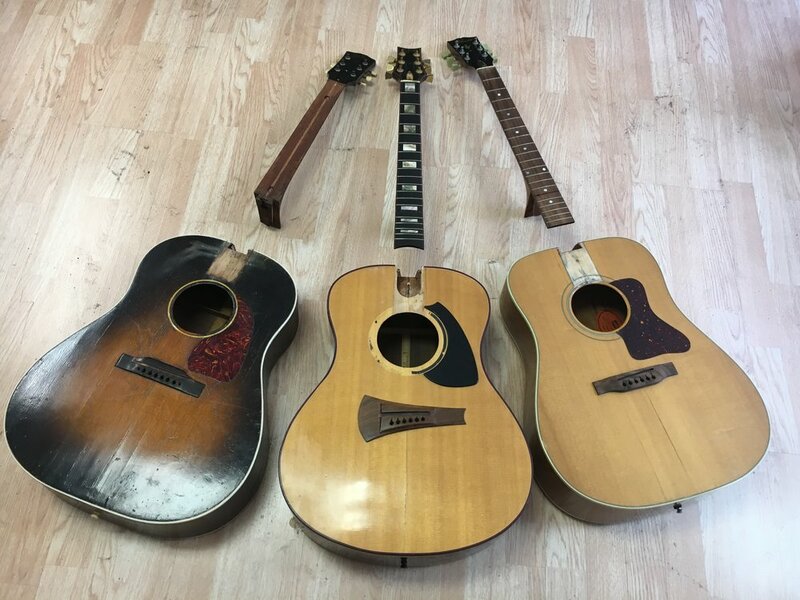 This image was taken after Geoff Benge had fully prepped the guitar for refinishing. 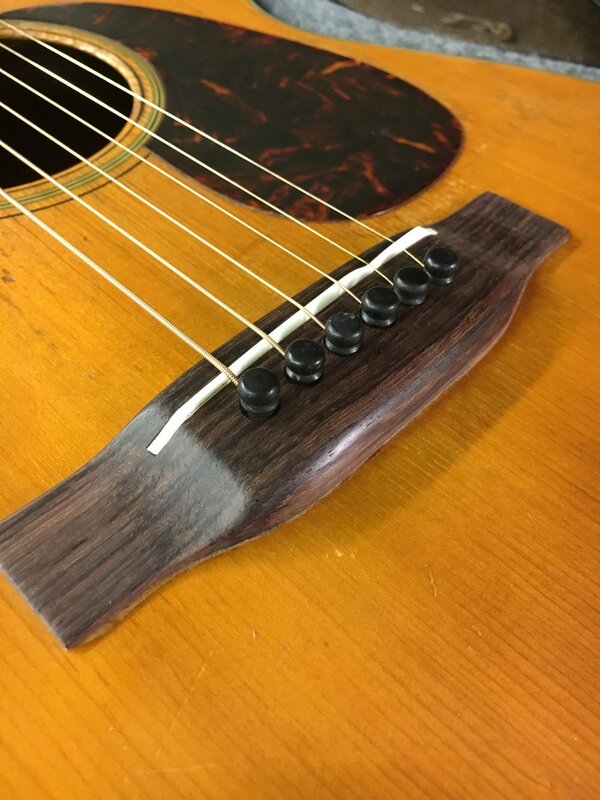 This is a 1960’s Harmony Sovereign made in Chicago refinished and restored by Geoff Benge. 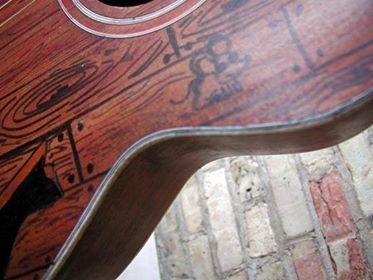 This is a great sounding guitar and a complete success! This ’63 Les Paul Standard is a very special guitar. 1963 is the last year this body style was called a Les Paul. Les himself was known to dislike this style so the following year, Gibson changed the name to SG (solid guitar). 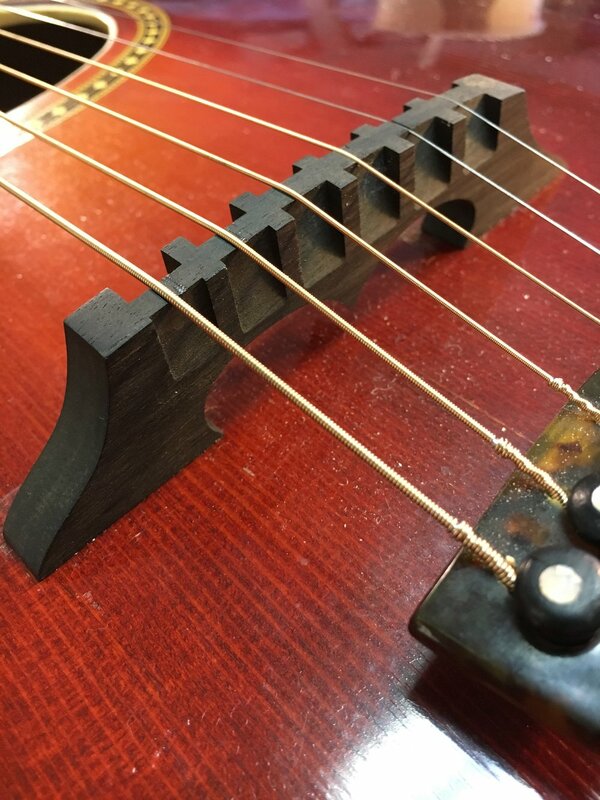 ’63 was also the last year of the "infamous sideways vibrola." 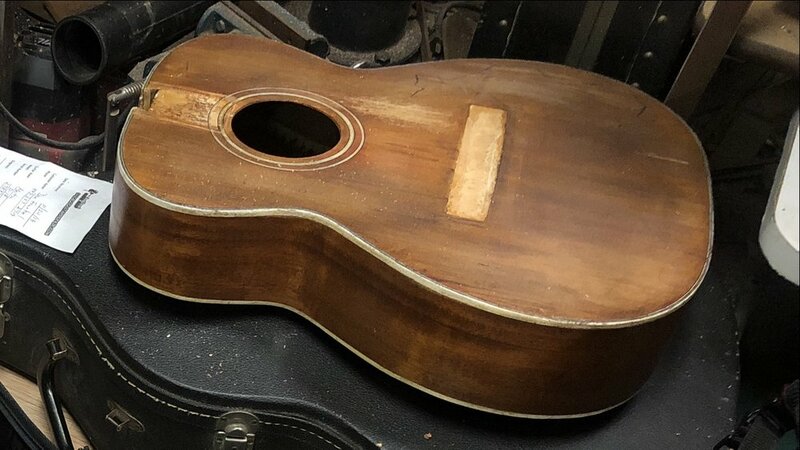 This guitar came to the shop with parts removed, the tailpiece blocked, and an unfortunate coat of paint. It wasn’t clear if the original paint was still in tack beneath the overspray. Fortunately, Geoff was able to (painstakingly) remove the paint and was pleased to find a beautiful and in-tact finish underneath. He glued the heel and this ’63 Les Paul Standard is ready to rock. 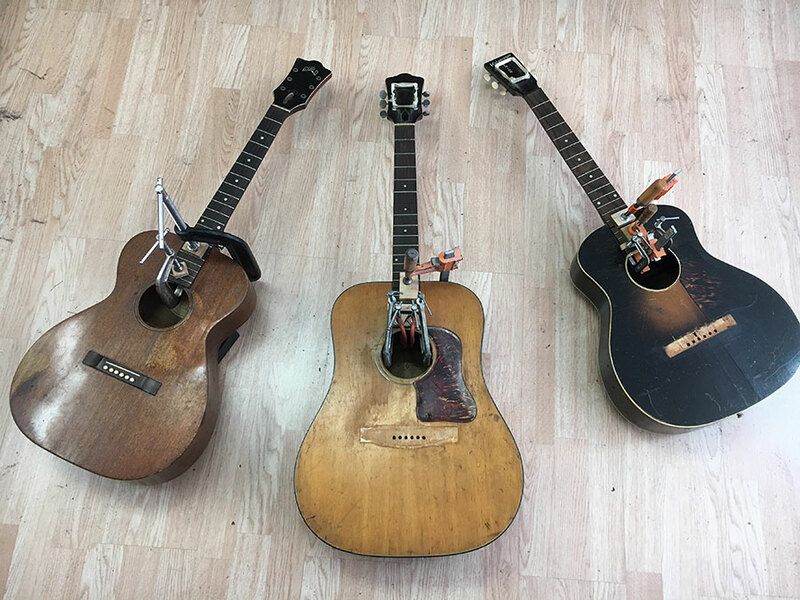 Below is very special collection of gypsy jazz guitars that belong to collector and aficionado, Michael Bauer. Geoff Benge has had the and honor and pleasure of working on all of them.